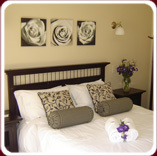 Choose from 8 individually styled bedrooms, or a self-catering cottage with full kitchenette. 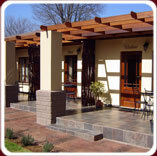 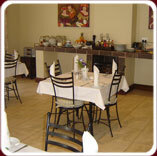 All the rooms have separate entrances and private patio's, on which to enjoy the South African sunshine. 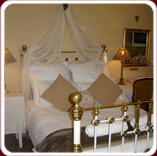 Each bedroom is comfortably furnished, en-suite and fully equipped with Satellite TV, Telephone, air conditioning, hair dryer, Tea/Coffee tray and mini bar fridge. 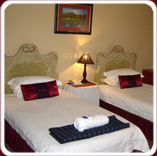 Wireless internet access is available in all rooms and a guest computer can be used in the lounge. 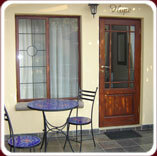 The rooms are all equipped with a safe to lock away your valuables.